Have you ever wondered if your greatest struggles as a bilingual teacher are the same as your peers in other schools and states? The other day I asked a group of bilingual teachers what their biggest struggle was as a bilingual teacher. This is what they shared with me. #1: RESOURCES!!!! The number one overwhelming response was a lack of resources in Spanish. Not just the lack of resources, but the lack of quality resources in Spanish. 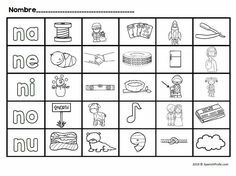 Many bilingual teachers responded felt like were shortchanging their students because of the sheer lack of quality ready-made resources in Spanish on the market. Several teachers felt sad that they can’t find quality materials in Spanish to use to teach their bilingual students in their classrooms. 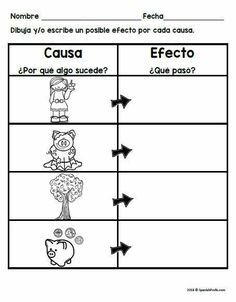 This is one of the top reasons that I created Profe Club because when I started as a Spanish immersion teacher, I had to create everything. I spent all my time; every night, every weekend, summer, every spare moment creating new materials in Spanish. I felt like it was a never-ending process. We created Profe Club in the summer of 2018, so that teachers can access all of our materials (400+) in an organized fashion, so that they can stop wasting all of their time creating and translating and making materials and spend more time on teaching. Teachers have so many duties and things they must do from classroom management, lesson differentiation, parent/home communication, interventions, progress monitoring, IEP’s , lesson planning, and PLC’s just to name a few. 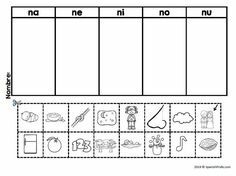 It seems that that is the most common frustration point; that beyond all the regular duties of being a classroom teacher, bilingual and dual language teachers have to create and/or translate materials. #2: Lack of Understanding of What DL/Bilingual/Immersion Education is. 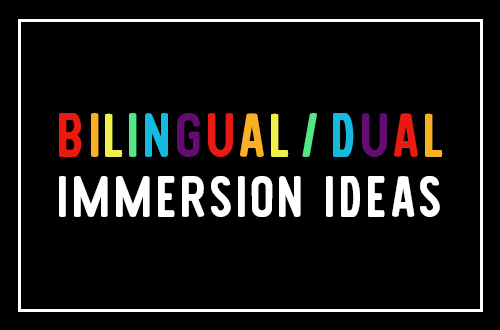 The second biggest struggle as a bilingual teacher was getting people to understand exactly what dual language is or is not in their school district. Often bilingual teachers feel that other teachers, administrators or coaches didn’t exactly understand fully what the purpose of dual language bilingual or Spanish immersion classes were. Lots of teachers find that they are spending a lot of time advocating for the program, bilingual teaching best practices and trying to educate their colleagues and administrators about that bilingual education isn’t just translating everything from English to Spanish, but that there is a different format or sequence of how we teach, especially literacy in Spanish to students. #3: Authentic Texts & Materials: Third biggest struggle that bilingual teachers often felt in the classroom were finding authentic texts, books and other resources. So as I mentioned above, finding quality resources is a major problem. Finding authentic texts or materials are also something that Spanish immersion teachers struggle in their classroom. They do not just want texts translated from English to Spanish. For example, Scholastic has a bunch of books in Spanish, but they’re not always authentic (though they seem to be adding more each year). Most of Scholastic (or other) books that are commonly found and ordered online are just translated from English to Spanish. Most bilingual teachers would love to be able to provide students with authentic texts, books, magazine, realia that were published in Spanish, this, however, takes time and money. A bilingual teacher shouldn’t have to waste their entire paycheck on finding appropriate and authentic materials for their classrooms. #4: Higher Workload than other teachers. A fourth problem that bilingual teachers experience is there is often more work required for a bilingual teacher than their English counterpart. Now, some people may disagree with this, however, as someone who has worked as a Spanish immersion teacher for more than 10 years, I completely agree. Spanish immersion and bilingual teachers are often handed the district curriculum, state standards, expectations, I can statement, and basically everything else in ENGLISH but we are expected to magically teacher, have all the materials and TRANSLATE everything into Spanish (or dual language documents) with NO EXTRA PLANNING TIME or PAY! Bilingual teachers from day one, not only work as classroom teachers but also as translators AND interpreters at any given moment. Our English counterparts just get the curriculum and go and there are countless resources available to them. Lots of teachers seem to struggle to get kids to stick to speaking in the target language in the classroom. They find that many of their students don’t value the Spanish language. Students and often families don’t understand the importance of what it is to be truly bilingual or speak a second language fluently. They feel that this is a struggle because they have to educate both the students, parents and the community on the importance of language acquisition, being bilingual or receiving a bilingual education in today’s society. Many bilingual teachers expressed the difficulty of having a principal that doesn’t understand. For example, many bilingual teachers work in strand immersion programs. That means that there’s a school within the school. In first grade, there might be two Spanish classes and two regular Ed (English). Often many administrators don’t understand what the differences are between regular elementary ed and bilingual education. Many administrators do NOT speak Spanish but yet are tasked to observe, mentor and evaluate bilingual, and dual immersion programs without any knowledge or experience in this field. Bilingual educators often feel that their principals or admin do not know how to support bilingual educators, biliteracy and bilingual program development and growth—and are not asking enough questions. In conclusion, being a bilingual teacher is not a walk in the park. We face many struggles that are unique to this profession. Do you have any other struggles that you face as a bilingual teacher? Hop on over to this out discussion on Facebook about this subject. Like this article? Sign up to get more tips, free resources in Spanish and ideas for your classroom. STOP wasting your weekends translating materials. 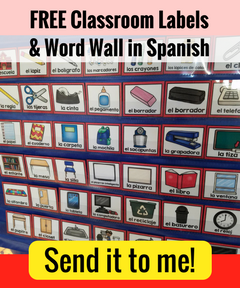 Spanish Profe makes quality resources in Spanish for Busy Bilingual, DL and Spanish Immersion Teachers so that you can Spend Your Time Teaching... not translating!